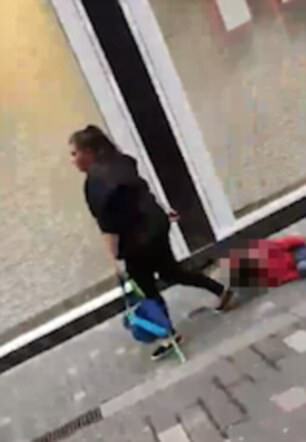 This shocking video appears to show a woman dragging a child along the pavement through Liverpool city centre. In the footage, a woman can be seen holding onto what appears to be reins, which are being used to drag the infant along behind her. 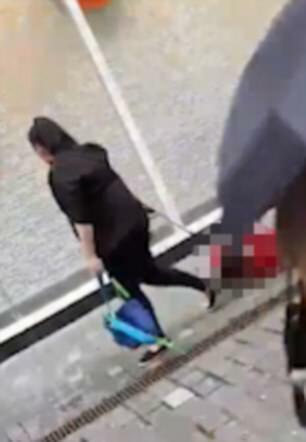 However, despite being hauled along the pavement, in Basnett Street, the child does not appear to react - leaving some viewers to speculate whether it could have been a doll. 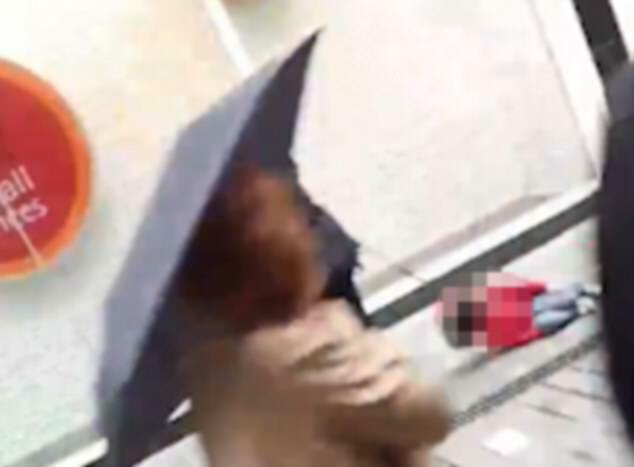 Joe Cain, from Liverpool, who took the video, said: “Basically, I was walking through town and the kid fell over and then the woman saw the kid had fallen but kept on walking. “The kid seemed fine with everything to be honest, it was people who saw it that seemed worse off. 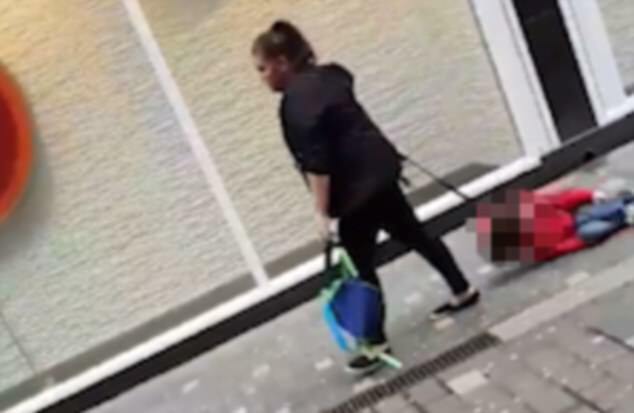 The woman in the video can be seen holding on to what looks like a children’s bag in one hand, while the other is used to hold on to the reins. As she walks through town, outside TK Maxx, she can be seen to slightly turn her head around to look at the child, but then continues walking. The small child, who is in a red coat, jeans and trainers, is being trawled along the pavement by the harness that is attached to the back of their coat. Passers-by can be seen turning their heads as they walk past the woman and child. Joe said: “It sort of caught everyone off guard really, nobody knew what to say or do. “I thought she was messing but then she turned around, saw the kid there and kept on going. The video, which was posted on social media, has since been retweeted 623 times and had 910 likes. One man wrote on the Twitter post: “That’s pretty bad. Did no one stop her or step in??" Another woman debated whether the child could have had autism and therefore did not want to walk. Others debated whether or not the child could actually be a dummy. Another thought it was a “penny for the guy”. The ECHO is not aware of any reports being made to police regarding the incident.